The race had a 5am start under the light of a Blue Moon. It started with just enough of a downhill to warm up the legs before we moved right into the first climb of the course. 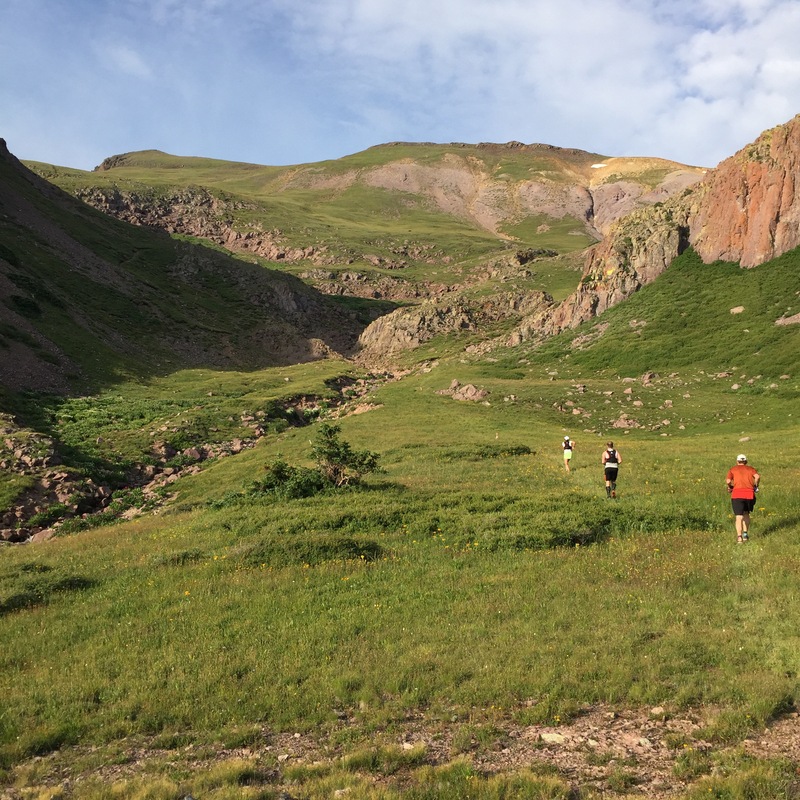 With the race starting at 10,500 ft, you wouldn’t think there was much ‘up’ to be had, but it quickly rose to about 11,200 ft in that first couple of miles. 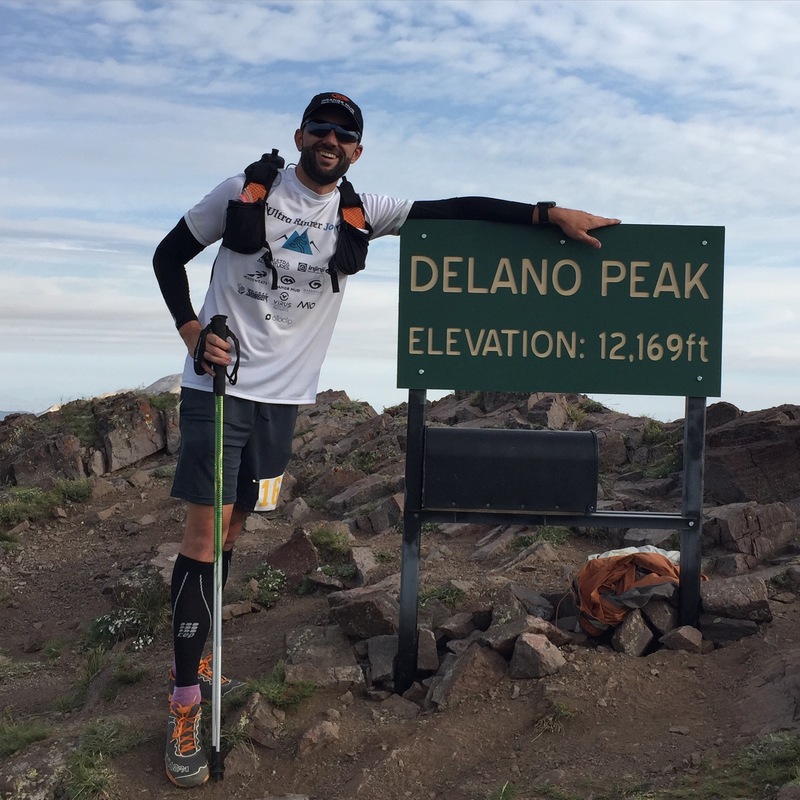 After some relatively manageable ups and downs, we started the first major climb of the day at mile 10, which culminated on the first of three peaks (and the tallest) on the course, Delano Peak. At 12,169 ft, the view was amazing, however, the 2,000 ft climb in 2 miles to get there was a lung burner. Still, the surroundings (which included a herd of mountain goats in the distance) made it more than bearable. After reaching the peak, we quickly went down the other side on our way to Mud Lake at about mile 15. On the way down, I ran across several of runners doing the half marathon, which was an out and back to the peak. If I was to ever seek out a destination half marathon again, this would definitely have to be on the list! After a quick stop at the Mud Lake aid station, I continued on to the next lake, Blue Lake. This view was absolutely gorgeous…I had to stop and take a picture. Moving on, I came in to the Bullion Pasture aid station, which is one of two stops through this junction. Here I changed shoes into something a little more nimble and moved on. From there is a 12 mile out and back to the second peak of the day, Copper Belt Peak. After the second half of the out and back, I returned to Bullion Pasture where I decided to call it a day after about 36 miles. Despite problems with the altitude throughout the day that brought me to the brink of being sick, I was feeling strong physically. At the same time, I knew that if I continued on with the grind to the finish, my resulting recovery time would significantly cut into my remaining Bear training time, which I absolutely wanted to avoid. Despite all of that, 36 miles with 10K of vertical gain at altitude made for a great training run…and I felt pretty good the next day too. I am confident that it was the right decision for the bigger picture. I did learn a few things too. 1. I am still struggling with sustained altitude above 10K feet. While it shouldn’t be an issue at Bear, I still need to figure that one out. 2. After a bunch of flat stuff early in the season caused me to get a late start on vert training, my climbing legs are in gear and I am feeling good physically. 3. Despite starting the season early this year and a short bout of fatigue (which I have corrected), I am feeling great versus previous years where I usually start to break down at this point in the season. Cross training must be helping. With 5 1/2 weeks of solid training to go, I am 100% focused on Bear now…here we go! 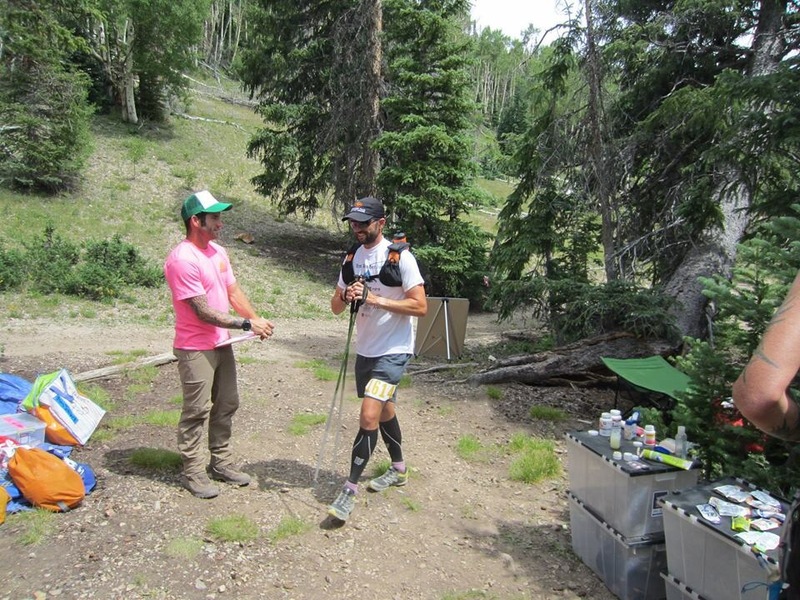 As far as the race, it was very well organized, especially for an inaugural race event, and had a similar feeling experienced at every other Ultra Adventures race. This continues to develop into one of the premiere race series in one of the most beautiful regions of the country thanks to Matt Gunn and his team. Beyond that beautiful courses though, the feeling of community and love for the outdoors is stronger at UA events than any other I have experienced. While the series is finished for 2015, you should definitely look into running in one or more of the seven races in 2016. Thanks to Matt, the UA crew, the volunteers, and my fellow racers for such a wonderful, memorable experience. Thanks to my family for once again coming down and supporting me…my #1 fans! Thanks to all of my sponsors for embracing my journey and supporting me along the way. 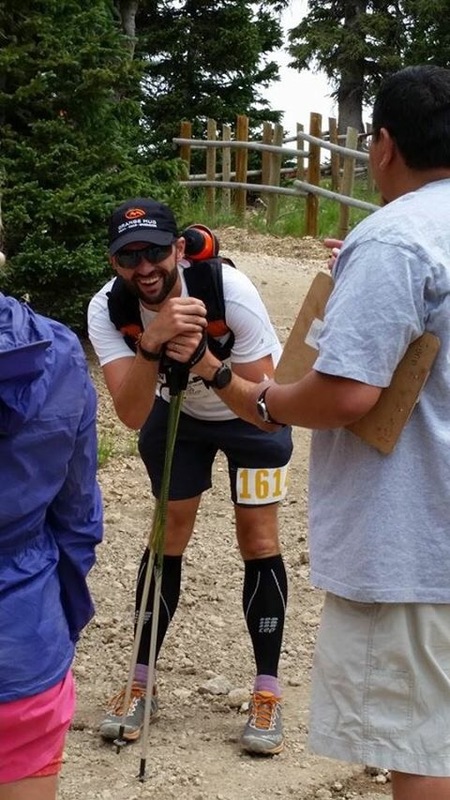 This entry was posted in Race Reports and tagged Race Report, trail running, Tushars, Tushars93K, Ultra Adventures, ultra running, ultrarunning, Utah by Ultrarunner Joe. Bookmark the permalink. The Ultra Adventures race series for 2015 has come to an end with great success at Tushars. 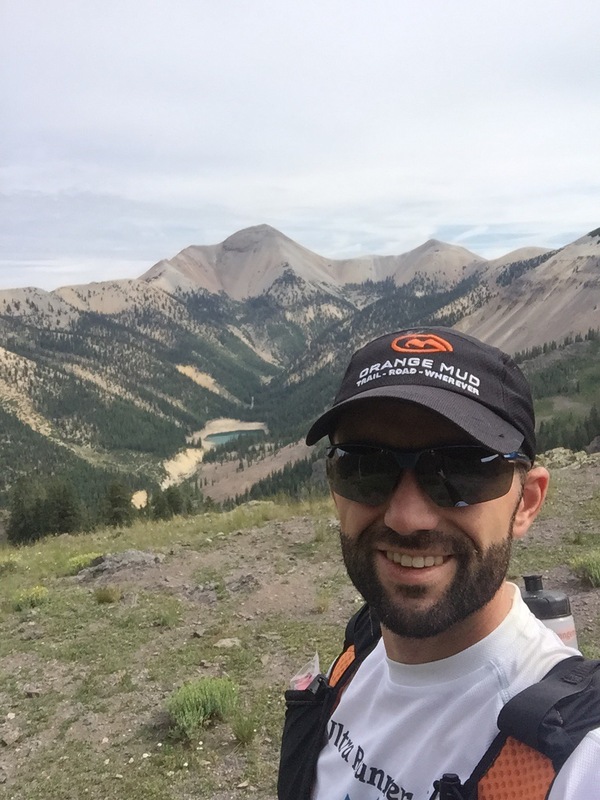 Below is a race report from Ultrarunner Joe who ran the 93K distance. Our friend Cory ran the marathon in Tushars and it took him 10 hours! That’s how gruelingly spectacular these races are. Read Cory’s race report HERE. I keep hearing the same things about these races: people say they are both the hardest and most beautiful trails they have ever encountered. And they don’t sell out in three seconds! Our goal is to be at as many 2016 events as possible, starting with Antelope Canyon on February 20th. I’ll have books to sell and time to chat. Distances range from half marathons to 100 miles.